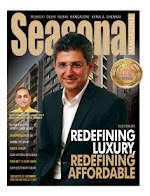 Seasonal Magazine: Claris IPO Subscribed 9% - Why Response is Slow? Claris IPO Subscribed 9% - Why Response is Slow? Claris Lifesciences IPO which opened for subscription on November 24th could garner only 0.09 times or 9% of the total offer by the close of the second day, as per the cumulative data on NSE & BSE. Maybe it was due to 24th, the first day of the offer, being a tumultuous day on India’s capital markets, with a major scam breaking out in the housing finance sector, with authorities carrying out arrests of several high-profile executives, and Sensex losing around 230 points. But even by 5 PM on 25th, the Claris IPO is still to pick up steam, having been subscribed to only 9% of the offer. However, 25th being the monthly expiry day for capital market’s Futures & Options segment, investors might have been busy covering their short positions or rolling them over. The benchmark Sensex lost another 140 odd points on 25th. ALSO READ: MOIL IPO Very Attractive, But Listing Gains or Long-Term Value? Also, two factors might be weighing down on investors’ minds regarding this Issue, one being a recent FDA ban on Claris that makes it unable to market some of its products in US, where it has a tie-up with pharma giant Pfizer. Though the company has stated publicly that the FDA ban would amount to only a 3% volume loss at the maximum, the rather heavy under-subscription on the first day shows that investors aren’t fully convinced. A query sent to Arjun Handa, MD & CEO of Claris to better understand the scenario arising from the FDA ban remained unanswered at the time of publishing. An even heavier factor weighing down on this IPO might be the legacy of a now defunct pharma company - Core Healthcare Ltd (CHL) - that was promoted by the first relatives of current Claris promoters. CHL, which was earlier known as Core Parenterals Ltd, was a successful listed pharma company (BSE: 500091, NSE: COREPARENT) for many years, but was later caught in a serious debt default situation with banks, and it was also a subject of litigation by multiple law and securities agencies for a few years. Another query sent to Claris on measures to assuage investor sentiments hit by the CHL episode, also remained unanswered. 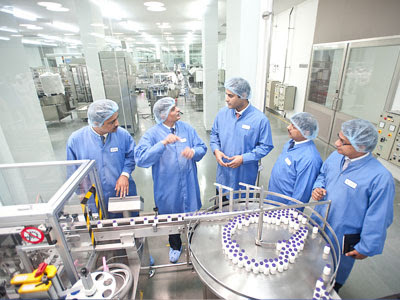 The offer valuation of Claris, by way of price-earnings multiple (P/E) is attractive, compared with not only some listed peers like Strides Arcolab (BSE: 532531 / STRIDES, NSE: STAR), but also with the pharma industry-average, and this might help in attracting the requisite share applications before the Issue closes on 26th. Also, retail investors usually flock to an IPO only on the last day in India, waiting to see whether the Issue is oversubscribed by many times, so that they can quickly exit with listing gains. Claris Lifesciences was successful in attracting anchor investors at the upper end of the price band, a day before the IPO opened. Withdrawing an IPO on poor investor response hasn’t happened in recent months, with some Issues being bailed out by QIBs on the last day. However, multi-times oversubscription seems difficult for Claris IPO as of now.